Experience the friendly & professional service that I give to my clientele at Ashgrove Nail & Beauty. Offering a tempting range of treatments for you to pamper yourself with, I have a wealth of experience, offers quality products with affordable prices to match. My Beauty Menu includes: Facials, Microdermabrasion, Waxing, Pedicures, Gel Toe nails Body treatments,Tinting, Manicures Gel Polish and Nail Enhancements . 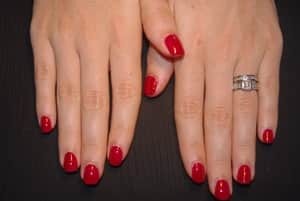 Ashgrove Nail & Beauty is a professional salon with private beauty rooms and offer some great monthly specials. You can find me in Alderley, in Brisbane's Norther suburbs. I have been going to Leanne for over 20 years. Leanne is professional and friendly, offers many different treatments which are all fabulous. I saw Leanne's reviews on TrueLocal and decided I had to try for myself. The reviews were right, and the drive to the other side of town for a facial was definitely worth it. She is professional, reasonably priced and has a nice little studio. Leanne provided me with samples and suggestions of future treatments and ways to help my skin. Definitely would recommend, and can't wait to go back! I am happy to say I found Leanne at the beginning of 2012 and have been going to her for all my waxing needs since! Leanne is a true ARTIST at her trade! She possesses pure attention to detail & provides exceptional service. Lash extensions, nails & facials are my favourites! Leannes professional, genuine & warm approach has always made my treatments a tranquil & therapeutic experience. Relaxing atmosphere. Prices are great value for money! Location & parking is a breeze. I highly recommend! !